tempestuous love story that captivated our hearts for years. Heartbreak, betrayal, passion, pain, lust, love and loss—the tumultuous romance between Gideon Cross and Eva Tramell has endured more than any relationship should, but in One With You, they face their ultimate test and one that only they can overcome. Everything they’ve learned about themselves and each other comes to a head now that vows have been promised. They’ve come a long way since that New York City morning in which fate pushed them together, when Gideon glanced out the window to see a disarmingly beautiful blond. 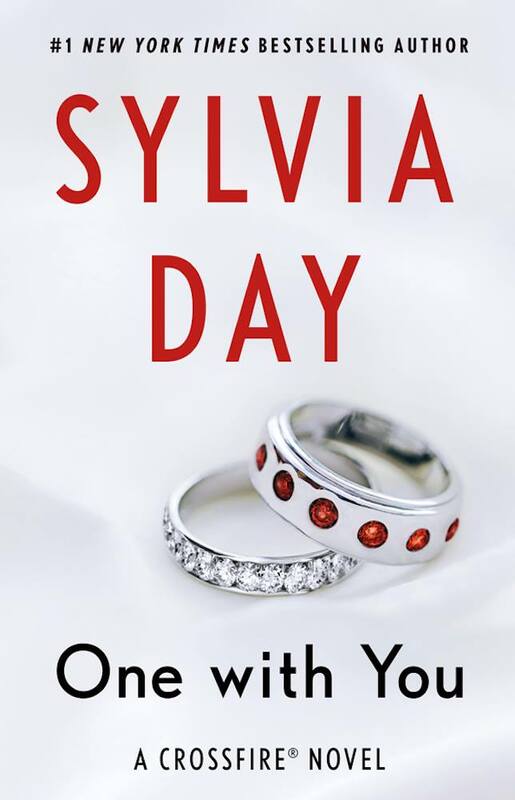 Sylvia Day delivers a final installment rife with emotion and intimacy—the culmination of so many explosive arguments, of times where trust was broken and trust was proved, of promises put to the test. Their life together was truly just beginning. They were now Gideon and Eva Cross, there wasn’t any going back or any problem solving through tangled sheets. Their past had always been a ruthless demon from which nightmares and insecurities stemmed, but together, they had proven they could heal from the abuse of their past. Gideon had shown Eva she could seize control and be loved wholly, intensely. Eva, in turn, had shown Gideon he was worthy, he was loved. In the time they’ve been together—from June to September of a single year—Gideon and Eva had made many mistakes. They’d hurt each other deeply as many times as they’d made promises to each other. But now, the promises that had made them one were both elating and imprisoning. No secrets. No lies. No running away. To make matters worse, many still worked to drive a divide between them. And while external factors worsened the ever-present storm, it was their continued struggle to break free from their past, their fears, which spurred the fury of their tempest. The beauty of it all, however, was that they’d finally accepted each other’s love fully, deeply, to know that only together, could they overcome their problems. We see an Eva who fiercely protects, who begins to shed the control she had desperately sought, to become a partner in a whole. She proves to Gideon that she has his back, that when his credibility is tested, she loves him enough to believe him. We see a Gideon who works to be so emotionally in tune with his wife that he anticipates her every need, soothes her every wound. They are fervidly determined to make their marriage succeed, come what may. 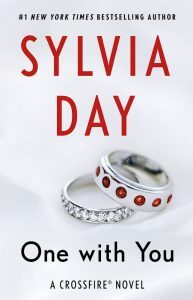 Unexpected twists and surprises, however, test their resolve in ways I found really fascinating psychologically—especially with Gideon, who in a show of love tries to further cement their commitment to each other, while in a testament of truth, still harbors fear that he could lose Eva with a single decision. What I loved best about this finale was how intimate and emotional it felt. There’s no denying Day has a prowess for tautly written storytelling that’s sensuous and deeply intense, but it was the truth and softness of so many moments in this narrative, that really held me captive. They made me reflect on everything that Gideon and Eva had gone through in a relatively short amount of time. I could see their growth, viscerally feel it. Their journey and success in achieving a functional, balanced relationship was evident and ongoing. We get that wonderful happy ending we’ve been longing for, cheering for, but their happily ever after is just beginning. They’ll surely encounter more difficulties, as well as celebrate many, many moments of happiness. And perhaps that’s what I most loved about this book… it may be the end of the series, but it’s not the end of their story, and that’s a wonderful thing to think about. What an amazing review!! Gideon and Eva are one of my fav couples…Haven’t read One with You yet but I will soon. Thank you a million Vivi!